Cambodia is second in the world for the number of public holidays every year. This means plenty of long weekends and the opportunity to escape the maelstrom of Phnom Penh to the relaxed provinces. Due to the large number of people of Chinese descent who run much of Cambodia's business enterprises; and also Vietnamese immigrant communities, the Chinese New Year is widely celebrated, especially in Phnom Penh. No Chinese festival would be complete without fireworks and this time of year is no exception with many wealthy families organizing their own private displays whigh light up the skies for all to see. One of the more recent additions to the festival calendar, this day marks the end of the Khmer Rouge Regime. 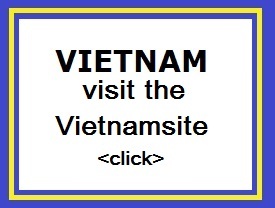 However for many Khmers it also marks the start of the Vietnamese regime seen as another period of foreign occupancy. New Year's Day is celebrated at the same time as the Thai New Year all over the country, this festival marks the turn of the year based on the ancient Khmer calendar and also marks the end of the harvest done during the year. Cambodians decorate their homes to please the Heaven God and many people can be seen on the streets armed with small bags of water and water pistols to bless people passing by. This festival is one of the happiest times of the year with joyous smiling faces everywhere you turn. 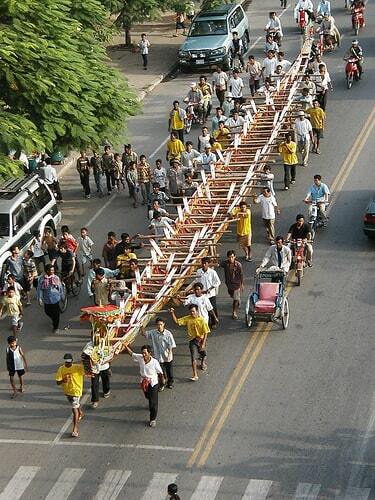 Cambodians do recognize International New Year on 1 January but there are no celebrations then. Cambodia has a deep connnection with the Earth and farming, and there is a deep astrological belief that the Ox has an instrumental role in determining the fate of the agricultural harvest each year. Every year, in May, this cultural ceremony takes place in the large park next to the Royal Palace and in front of the National Museum. 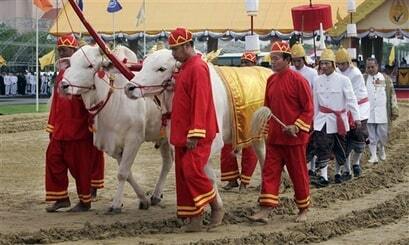 The King plays a key role in driving the Ox and depicting real ploughing activities in the process of growing rice. The Ox is given a selection of foods and beverages to consume and the royal soothsayers interpret what the Ox has eaten. For this festival both men and women can be seen wearing brightly colored traditional Khmer costume. This is the most culturally and religiously significant event of the year and is celebrated in September. This festival of souls concentrates on blessing the souls of ancestors, relatives, and friends who have passed away. All Buddhist temples, especially Wat Phnom, are the focal points for this festival and most Cambodians visit the temples to make traditional offerings and pray. This celebration revering the country's influential king take place in late October or early November. People from all over the country come to the capital to join in celebrations and festivities held throughout the capital. Often the King's birthday and Water festivals coincide resulting in a mammoths celebration in front of the Royal Palace and along the riverfront. Provincial villagers who would ordinarily have no reason to visit Phnom Penh will save up and make this occasion their sole visit to the capital. This water festival is probably the most extravagant festival in the calendar. Over three days starting with the last full moon day in October or the beginning of November up to a million people from all walks of life from all over the country flock to the banks of Tonle Sap and Mekong Rivers in Phnom Penh to watch hundreds of brightly coloured boats with over 50 paddlers battle it out for top honors. The boat racing dates back to ancient times marking the strengths of the powerful Khmer marine forces during the Khmer empire. In the evening brightly decorated floats cruise along the river prior to and complimenting the fireworks displays. there is often a parallel festival at Angkor Wat and although it is smaller in scale it is just as impressive due to the backdrop of Angkor Wat. The festival marks the changing of the flow of the Tonle Sap and is also seen as thanksgiving to the Mekong River for providing the country with fertile land and abundant fish. It is at this time when the river flow reverts to its normal down stream direction. The remarkable phenomenon that is the Tonle Sap sees the river flowing upstream during the rainy season and then change direction as the rains cease and the swollen Tonle Sap Lake empties back into the Mekong River leaving behind vast quantities of fish. This important ceremony takes place at the site of the Independence Monument at the juntion of Norodom and Sihanouk Boulevards. This ceremony celebrates Cambodia's gaining of independence from France in 1953. All over the city flags adorn the shop fronts and bunting stretched over all the main thoroughfares as a sign of national pride. This festival is a showcase of performing arts with Angkor Wat as a backdrop. Performers from all over Asia attend this festival performing great epic stories from myths and legends, including the Ramayana, with their own national dance costumes and musical and rhythmic inter-pretations. King Sihanouk often attends when he is in residence in Siem Reap and other dignatories come to witness this wonderful spectacle. This International Half Marathon is held at Angkor Wat and attracts competitors from all over the world. 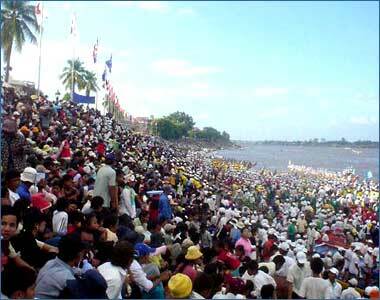 Thousands of people come to see this international event held in the spectacular setting that is Angkor. Cambodia also celebrates other special days including: International Women's Day (8 March), International Worker's Day (1 May), Genocide Day (9 May), Vesak Bucha Day - the anniversary of the birth, enlightenment, and death of Buddha (Late May), Ploughing the Holy Furrow (Late May), Chol Vassa - Buddhist Lent (July), and International Human Rights Day (10 December).